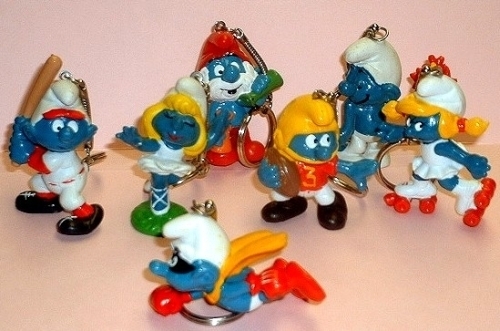 Smurf Keychains. Smurf keychains. Wallpaper and background images in the Keychains club tagged: smurfs smurf keychain keyring novelty 80s. The smurfs are a legend i love them all ! I do too, they're so cute!